In amongst the usual TV series that appear this time of year to lead us into winter, like Strictly and I’m a Celebrity, some proper wintry drama returned with the third series of The Bridge. The theme tune was in my head the other morning – partly as a result of the gloomy nature of the programme, but also because we had our first (and so far only) frost of the winter and that reminded me of how this whole gardening thing really started with me. 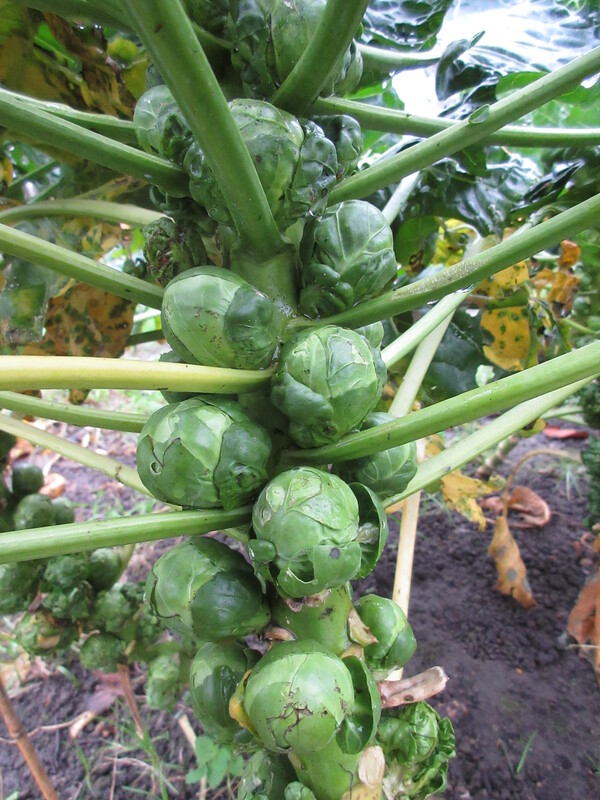 A frost, in the eyes of The Old Man, was critical before we would be allowed to start picking the Brussels Sprouts. It was the lack of a frost back in 2010 that meant that the stampeding heifers who trampled through the garden one November night destroyed the whole crop in one fell swoop. So I went out and picked the Brussels which are looking pretty good for the first time in years. It was a proper Sunday roast with veg from the garden all done to perfection by Mrs B. And delivered to the table at exactly one o’clock. Sunday roasts are in our British DNA – though each family has its own take on how it should be done. Mrs B combines all the best ingredients from both sides our families. We use the veg from the garden (my family’s habit) but it will – almost without fail – be served at one o’clock. I have fond memories of going to the pub with my father-in-law when we came down to visit in our young newly wed days. He and I would have a half of IPA in the Catash while Bren cooked the lunch. I was his partner-in-crime as we would “roll” back at ten past one, just a little merry but subject to a cool steely gaze from the disgruntled chef. This entry was posted in Gardening Times and tagged Brussels sprout, Catash, Roast dinner, The Bridge. Bookmark the permalink.